The 1st APRAISE Brochure is available in both Greek and English language. The 2nd APRAISE Brochure briefly presents the APRAISE Case Studies results. The 2nd APRAISE Brochure is available here. 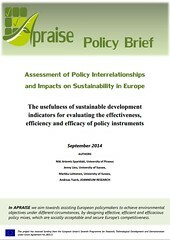 The APRAISE project has been presented in the European Office of Cyprus webpage. The uploaded information is available here. 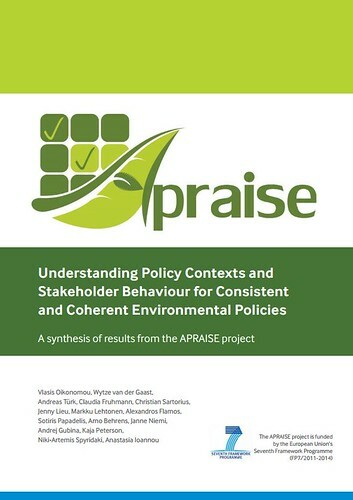 Information on APRAISE (including the project goals, approach, expected outcomes etc.) has been uploaded in the ECOWEB website. Find the respective information here. Information on APRAISE is also available in the Energy Valley website, as JIN provided an interview on the project and its activities, including the APRAISE Final Conference. Find the respective information here (Dutch language).